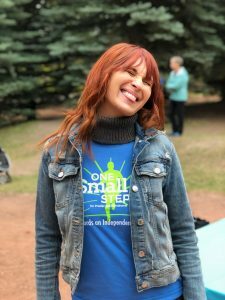 Organizing an awareness and fundraising walk reconnected Classic LifeCare Alberta Leader, Britney Didier-Shaw, to a community of families with one common goal – providing support to people and families living with Prader-Willi Syndrome (PWS). 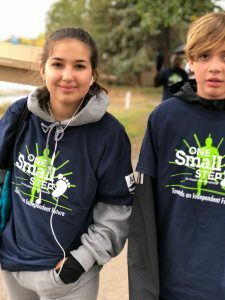 About 100 people showed up for the One SMALL Step Walk for PWS on a cool morning September 9,showing support and raising more than $30,000 for the PWS Association. PWS is a rare genetic disorder that results in a number of physical, mental and behavioral problems. A key feature of PWS is a constant sense of hunger that usually begins at about 2 years of age. Britney’s daughter Mazzy was diagnosed with PWS when she was two months old. 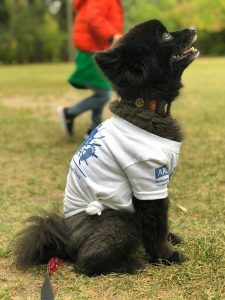 Now a teenager, Mazzy participated in the walk, along with her sister, dad and dog, Osha. “When we got the diagnosis at two months old, much of the information we read was quite horrifying,” says Britney. “According to what we read, my little ‘Poppet’ was going to change into a ravaging monster with a temper and bouts of rage. We read the weight would pile on, that few people lived past 30. Britney says the literature suggested “strict routines,” “military actions” around food and locking food away. “We refused to live that way. We made Mazzy a big part of food, instead of pulling her away from it. I change my furniture around all the time. We change her room around. Mazzy has a lot of changes of scene in her life. She is certainly not a kid who can’t stand change. 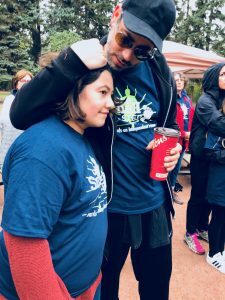 Britney reconnected with some mothers from the PWS Association in December for a dinner and found herself volunteering to take over the organization of the annual awareness walk from a woman who had been doing it for several years. 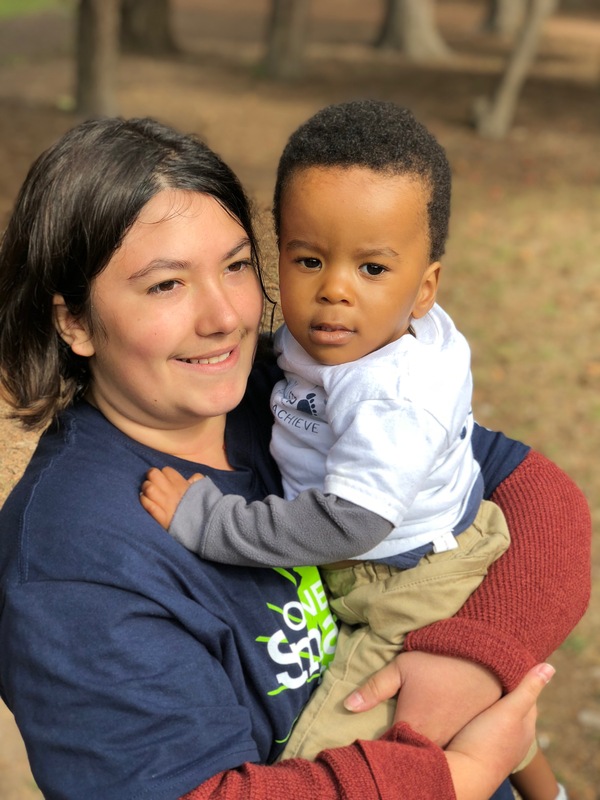 Britney says the most important part for families facing PWS is connecting with other families and hearing each other’s stories. Every person with PWS has a unique journey but it certainly doesn’t have to be a journey all alone. Below, left to right, Britney, Mazzy and her dad, dog Osha and Mazzy’s sister Piper.